Oh my goodness, I have the most vivid dreams. Upon occasion I do dream something that lands in one of my books. But, mostly, my dreams are pretty strange, and, sort of, sometimes can be a touch prophetic. I had a dream last night that I walked outside and heard the most beautiful music. I peeked into an open door and James Taylor was inside, working on a new album. He asked me to come in and help him with it. It was so amazing and so funny, especially since I have no business helping anyone work on anything musical. When I woke up, I had an email from James Taylor's website that his new album was available for pre-sale! 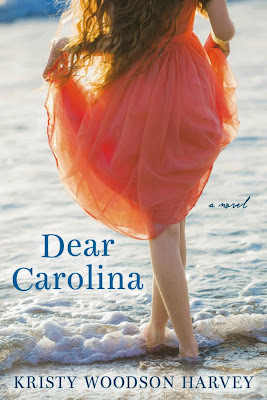 Dear Carolina is my first novel, so I’m first published 5.5.15! I actually started this book at the end of 2012, but publishing is a bit of a long process, as you well know! I think I’ve always been writing… As long as I can remember. But, strangely enough, I never thought I’d be an author. I read absolutely everything, fiction, non-fiction, memoir, thrillers, women’s fiction, YA, romance… I do love chick lit, though, because it’s generally light-hearted, feel good and is relatable to me at this time in my life. And most of the chick lit I’ve read is so smart and well-written too. But I’ll read anything, really! Dear Carolina is written from a birth mother and an adoptive mother to their daughter, Carolina, about the ways their lives change in the year after her birth. It’s a story about how families are made and the strong female bonds that can carry us through our lives. Becoming a mother. When my son was born, I realized how amazingly difficult it would be to give up your child and what a huge gift and sacrifice that was. The idea of the birth mother, Jodi, came to me from there. I adored “Something Borrowed.” I love Emily Giffin’s books and think Kate Hudson is just amazing, so it was one I couldn’t wait to see! What I Remember Most by Cathy Lamb and Eversea by Natasha Boyd. Everywhere! I have a beautiful desk and office, but I also have a three-year-old, so I sneak it in whenever I can. Sometimes on the couch, in the car, outside if it’s sunny. I’ll write anywhere! I was the youngest person in the state of North Carolina to ever have a work permit! I was six-years-old and my dad taught me to write my name in cursive so I could get one! Someone extraordinarily young… Hahaha! I wouldn’t mind someone capturing my nineteen-year-old self or something. That’s so tough. I’m not sure, but I don’t think I’m interesting enough to have a movie made about me! You hear people joke about places having “more cows than people.” Well, my county has more chickens, turkeys and hogs than people. My next novel is coming out from Berkley in spring 2016. (Hooray!) So, for now, I plan is to keep writing, get out there and find readers, and, if all goes well, keep getting published for years and years to come. I’ve traveled a lot, but I’ve never seen the pyramids. I definitely have to do that. I find Egyptian history and art completely fascinating. I might have to write a book set there so I’ll actually go! Carolina In My Mind by James Taylor, which is fitting since I dreamed about him! It depends on what I’m writing. I listened to a lot of country music while I wrote Dear Carolina! I always, always wanted to be a mom first and foremost. And I wanted to be a teacher. I still might be one day… You just never know. Thank you so, so much for having me, Suzy, and for sharing my work with your wonderful readers!! 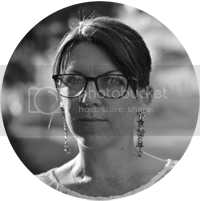 I am so happy to be a part of your wonderful blog! Visit Kristy's website for more information. Frances “Khaki” Mason has it all: a thriving interior design career, a loving husband and son, homes in North Carolina and Manhattan—everything except the second child she has always wanted. Jodi, her husband’s nineteen-year-old cousin, is fresh out of rehab, pregnant, and alone. Although the two women couldn’t seem more different, they forge a lifelong connection as Khaki reaches out to Jodi, encouraging her to have her baby.